From the classic anime Mazinger Z! Perfect for display or use as a bank. This Mazinger Z Vinyl Coin Bank stands 6 1/5-inches tall and comes in a window-box package. 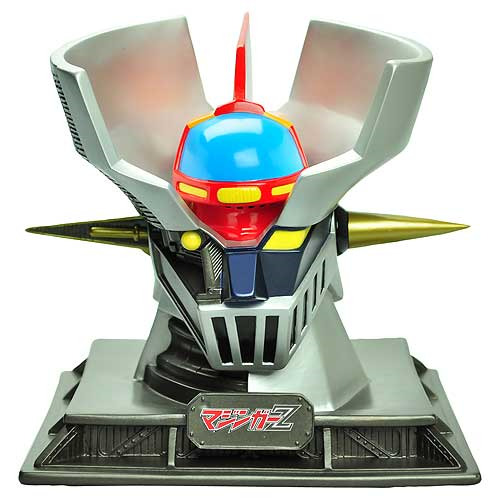 The Mazinger Coin Bank feaures the head of Mazinger with a name display base. Start saving today!